Many British parliamentarians dropped to London yesterday to vote on the Brexit deal. A historically important moment, but besides this agenda item, there were also other points on the program. For example, parliamentarian Kevan Jones wanted to raise the problems of his constituents. Only after the ballot, the hall flowed empty and he was left behind alone. 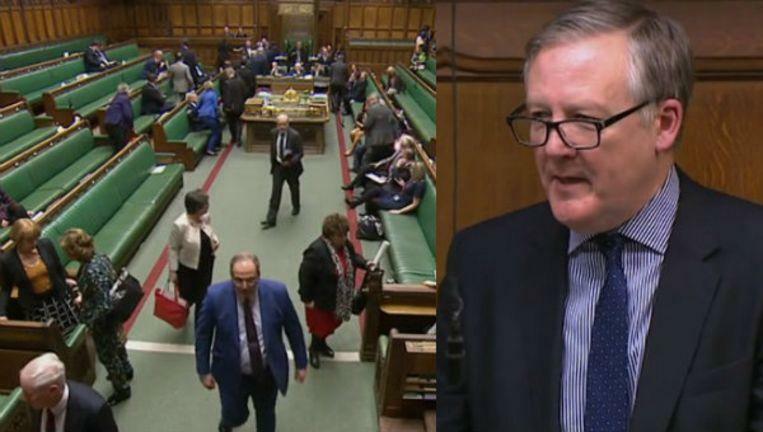 When Kevan Jones, a member of parliament from North Durham, got up yesterday morning, he hoped to get the chance to share his voters’ problems with the rest of the United Kingdom. They are having a bad train connection from Chester-le-Street, with endless delays and cancellations. This causes problems both professionally and privately. Too bad for Jones, he only spoke after the Brexit deal. All parliamentarians stood up en masse and left the hall. Barely eight other people remained to listen to Jones. The MP says he regrets that the members do not take the time to listen to the grievances of his constituents.